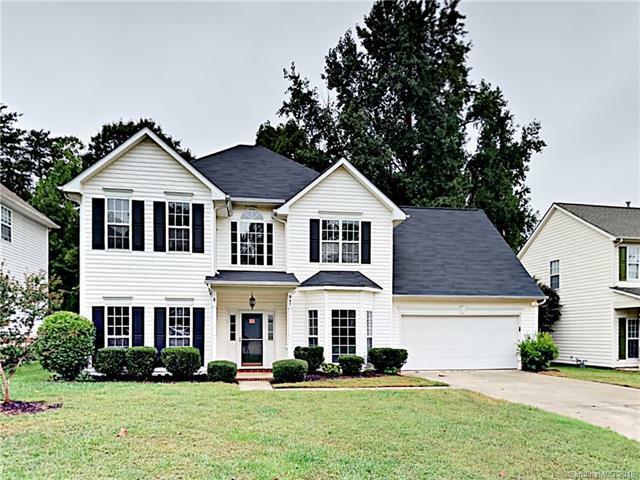 Beautiful 2-story home featuring 4BR/2.5BA and an updated roof! Entry opens with foyer and open floor plan with separate fining and office space. Kitchen overlooks the living room with fireplace and boasts stainless steel appliances and granite counters. A laundry room and half bath complete the lower level. Upstairs you'll find all new carpet in the Bedrooms. Large Master with attached ensuite to include dual sinks, walk-in closet and separate shower/tub. Secondary rooms are generously sized and provide ample closet space!